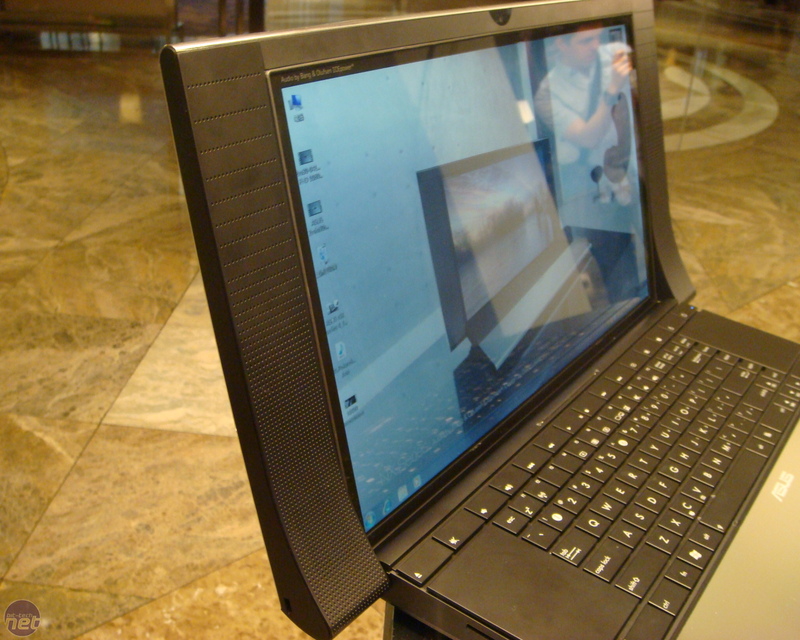 Asus has just launched its shiny new, super-sized NX90JQ laptop here in Taipei. 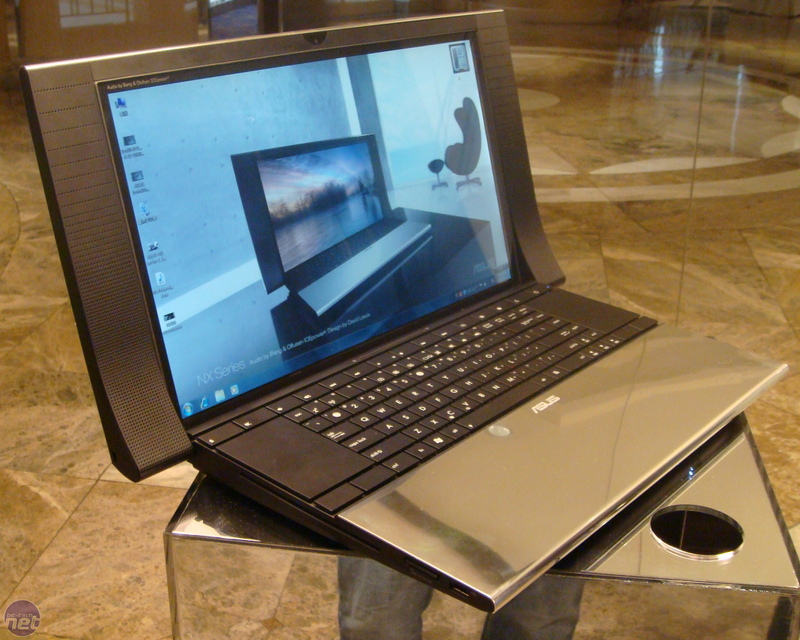 With a set of Bang and Olufsen 'ICEpower' speakers to frame the edge of the large LCD screen and lashings of polished aluminium, Asus has blinged this 18.4in of wide laptop. 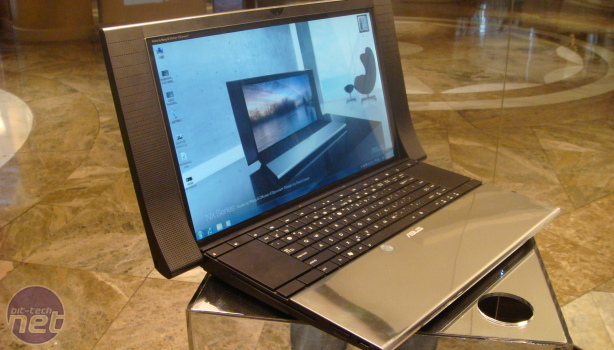 The widescreen laptop is clearly a desktop replacement given its considerable size and cost: at nearly 85,000NTD, or £1,800-something to us Brits, it's certainly a considerable investment. The laptop has been designed specifically to be as much an elegant feature of your coffee table as a functioning notebook, and the 4.5cm profile is reasonably slim for its size. The gentle curve and mirror-finish surfaces certainly show more of a bespoke feel than your run-of-the-mill computing device. 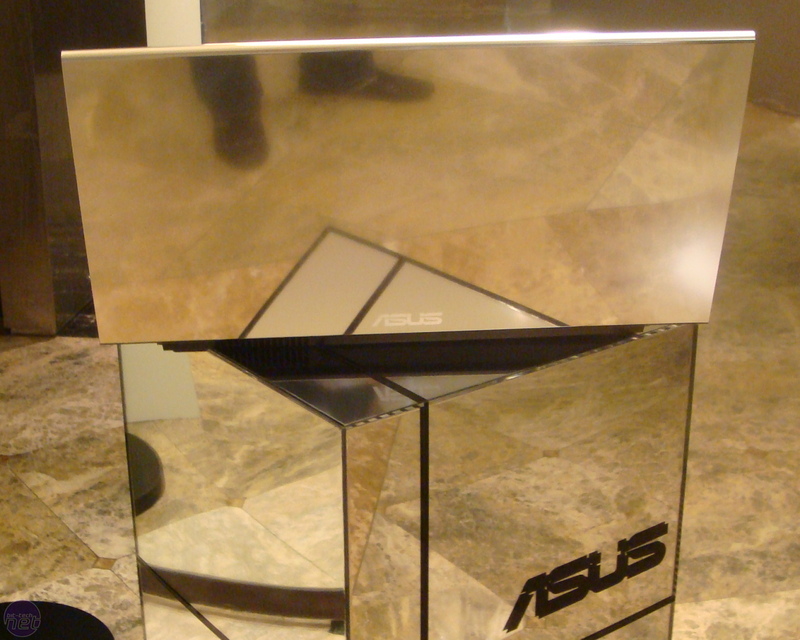 Asus presented a demonstration of the B&O speakers featuring Asus SonicMaster Premium technology, and even at just 11W each the speakers were certainly loud enough to fill the Taipei Hyatt's Ballroom adequately and with impressive clarity. Given their limited size (and their shallow depth, especially), we wonder whether the female vocalist of the demonstration was chosen specifically to avoid bass. We grabbed a quick chat with Henry Huang, the man responsible for shoe-horning the speaker technology into the notebook. He explained that the dual balanced power inputs were specifically designed to reduce as much unwanted noise as possible. 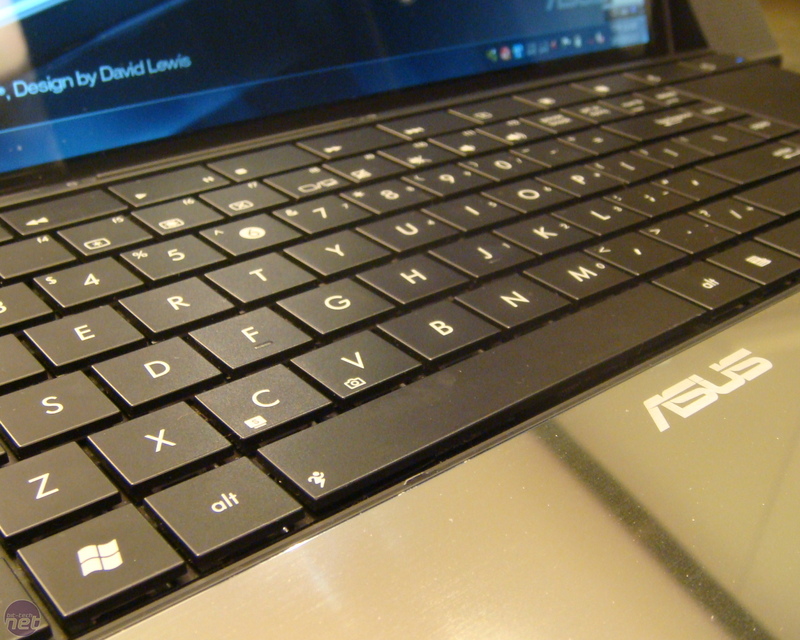 He was open in stating that due to the limitations of any laptop, electrical interference issues will always be there, but said that Asus had worked specifically to reduce theses issues. When we asked about the audio codec, Mr Huang explained that it was from Realtek, but not an off-the-shelf model. After a quick, proud chuckle, he explained that Apple had requested it for a future product, but that Asus had nabbed it first. Compared to other notebooks though, the NX90 speakers are without doubt an upgrade in the right direction if you're into music and a minimalist apartment. However, travelling with an NX90 will be difficult - we doubt there's a laptop bag long enough, and the unit weighs 4.4kg, the same as a small child. The NX90JQ comes fitted with the latest Intel Core i7-72QM CPU, up to 8GB of memory, 1TB of storage and an Nvidia GeForce 334M 1GB with Optimus Technology. Do you sip your tea with a pinkie extended while you gaze out over the veranda? Well this notebook is probably for you. Drop us a comment in the forums.